The season two debut of the critically acclaimed Netflix show, Stranger Things, got us thinking. With more than 250 years of history, what are some of the most unusual, haunted, paranormal or downright weird places in our area? Grab your Eggo waffles, hop on your bike and make your way to some of the Stranger Things you can find in the Laurel Highlands. Our first stop is so creepy it will have you nervously humming The Clash&apos;s "Should I Stay or Should I Go." Originally obtained in an effort to preserve them, this collection of 40+ trolleys and traincars has since fallen into disrepair and is now known as the Trolley Graveyard. 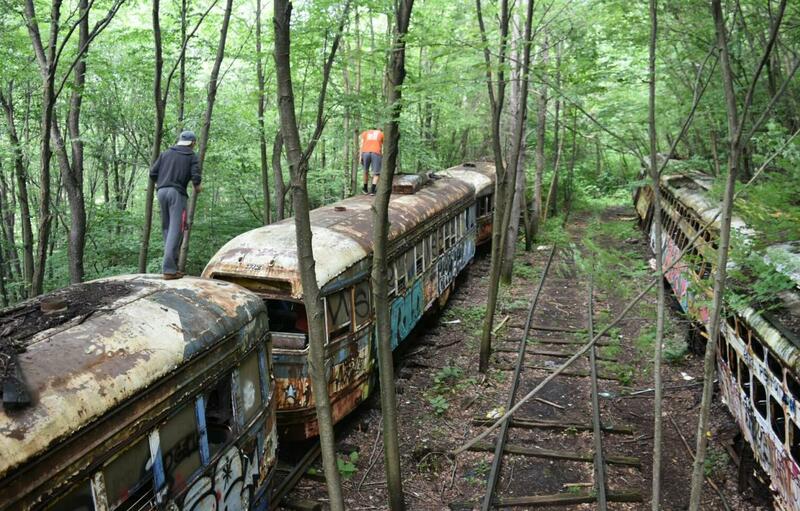 There&apos;s something very eerie about seeing how mother nature has reclaimed these old, vandalized traincars in a remote wooded setting. If any place in the Laurel Highlands is going to take you to the Upside Down, it has to be here. Somerfield was a small town that grew out of transportation, since Route 40 (now the Old National Pike) ran right through it. The town had a large bridge, a blacksmith, stores and a factory, and gained notoriety from its gin and high-stakes gambling. In all, the town hosted four presidents: Monroe, Taylor, Hoover and McKinley. Unfortunately, bypasses and other changes to transportation left the town a shell of its former glory. The government decided to buy the land and build a dam in the area in the 1940s, flooding the area and submerging the town completely. 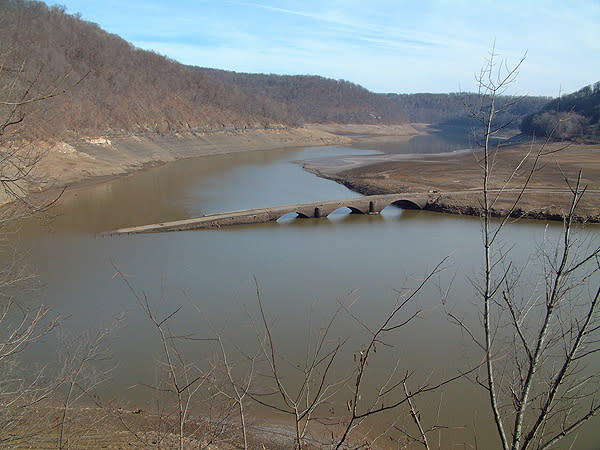 However, every fall and during droughts the bridge reemerges very much intact, and appears to be leading straight into the murky depths of the former town (visit during fall when the lake is lowered to prepare for snowmelt for the best chance of seeing it). Our region has a very vibrant history and, with it, some Laurel Highlands locations have stories of hauntings and other things that go bump in the night. 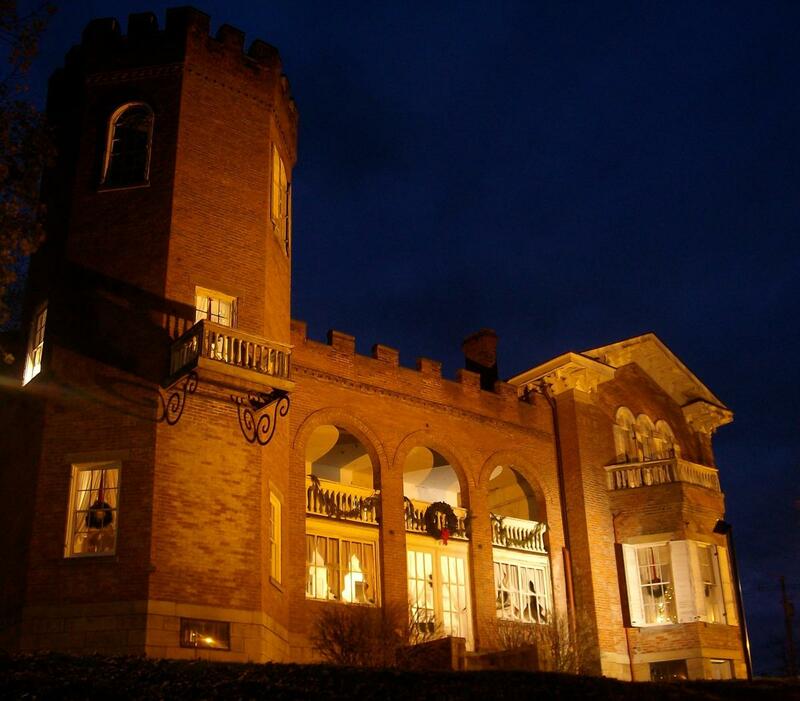 Take a candlelight tour of Nemacolin Castle, hear the darker side of the Portage Railroad at Spirits of the Summit and take an ethereal excursion of the Compass Inn & Museum through the blacksmith shop and cookhouse. Or if you&apos;d like to do the investigations for yourself, you don&apos;t need to bring your Christmas lights. You&apos;re invited to join Rockwood Mill Shoppes as they bring in their own team of experts to carry out paranormal investigations to talk to their friendly ghostly inhabitants. There&apos;s an entire documentary about Bigfoot sightings, winged creatures and more in the Laurel Highlands. 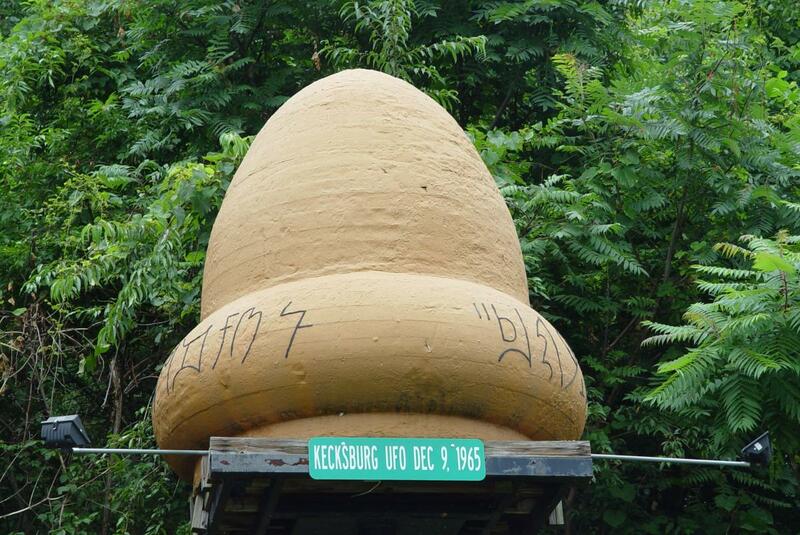 But our most famous brush with monsters came Dec. 9, 1965, in the small town of Kecksburg. Residents reported a fireball streaking through the sky and crashing into the nearby forest, and the report was published by many local newspapers. However, the story continues that the military soon followed, blocking off the area and removing a strange, acorn-shaped UFO with strange writing on it. Was it aliens, a meteor or something else entirely? The case is debated to this day, and the town celebrates with a yearly UFO Festival and conference with UFO experts. After you&apos;re done with your Netflix binge of Season 2, we hope you&apos;ll check out some of these Stranger Things in the Laurel Highlands.